More affordable jewels at PurpleMoon | ! *PurpleMoon Creations* ! 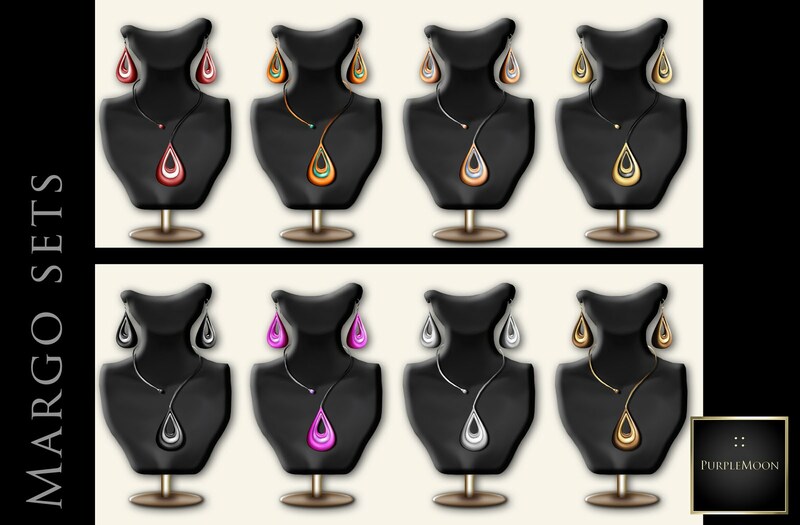 A new set of earrings and necklace can be found at the BOHO-HOUSE! The "Margo" set comes in 8 different combinations of metals. You would also like the full set with 17 metal options, infinite possibilities with this one. I hope you like them!